This guide is for the computer game. For the Genesis and Master System game, see Michael Jackson's Moonwalker. For the arcade game, see Michael Jackson's Moonwalker (arcade). 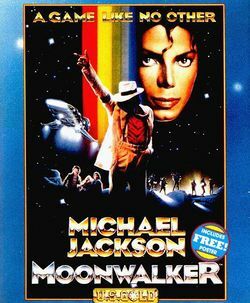 Michael Jackson: Moonwalker is an action game for computers based on the film Moonwalker. This page was last edited on 25 June 2012, at 05:33.